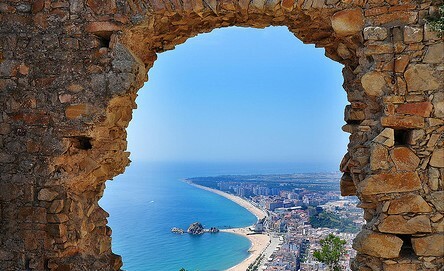 The Castle of Sant Joan, also known as Forcadell Castle, is located in the village of Blanes, in the south of the Costa Brava. It’s on top of the Sant Joan mountain, and stands on 173 meters above sea level. On really clear days you can even make out the silhouette of Montjuïc mountain, in Barcelona. Just for that beautiful scenic view, which covers 360 degrees, worths the climb up the castle, easily accessible by car. From the old castle, documented in 1002, is preserved the defense tower, about 15 meters high by 8 meters outside diameter, and a fragment of the wall. Like many other castles on the coast at the time, the building was originally built as a defense, especially against attacks from the sea, and more specifically of the pirates. 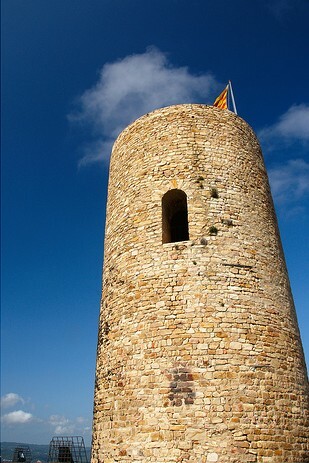 Already in the XIVth century also formed part of the set of castles and fortifications, built with the aim of defending Barcelona to the north, in order that they could communicate (by sound or smoke signals) to reach the city. 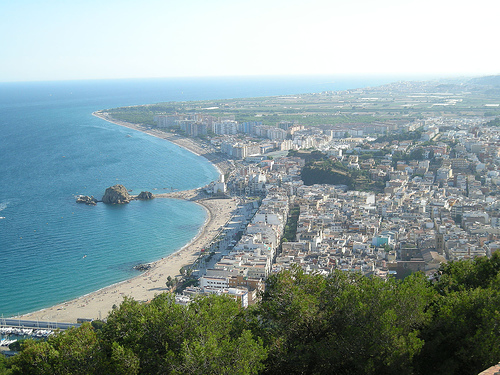 This group of castles was called the Tordera line (referring to the river which crosses Blanes). 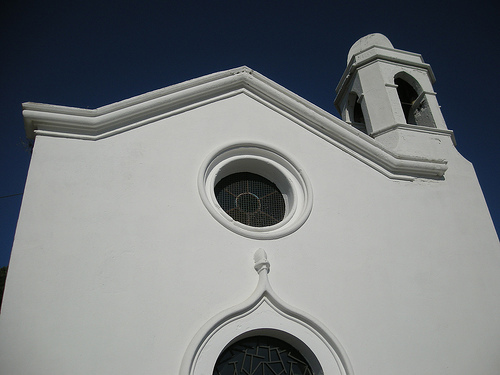 The tower has undergone many stories during its history. Before being rehabilitated in 1958, had served as military optical telegraph station during the XIXth century and even as a refuge in the Spanish Civil War (1936-1939). Today, however, the castle shows itself in good condition for visitors. 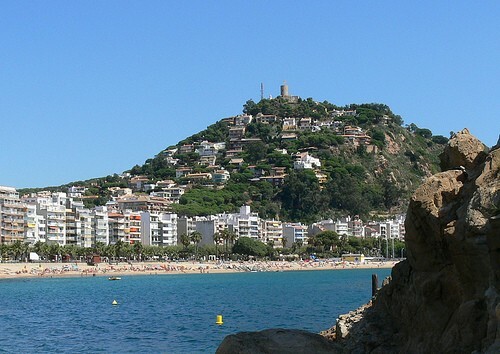 The tower is visible from practically any point in Blanes, and road access also allows the beautiful views of the village, its beaches and the sea at our feet. The mountain itself is also home to the Sant Joan Hermitage, which for lack of space was built outside the fortifications, probably in the XIIIth century.